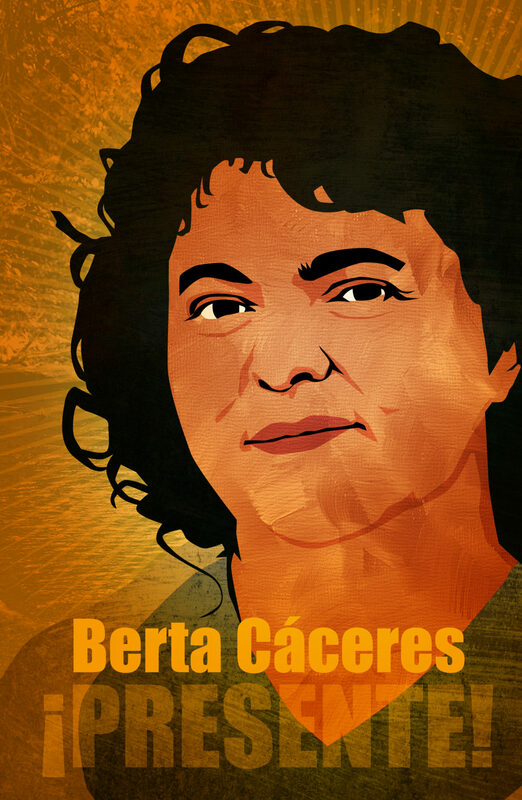 Design Action Collective | Berta Caceres, Presente! Berta Cáceres led the Council of Popular and Indigenous Organizations of Honduras (Consejo Cívico de Organizaciones Populares e Indígenas de Honduras — Copinh). She was a fearless and tender indigenous leader, visionary and fierce defender of the rights of Mother Earth. She was murdered in her sleep by gunmen who entered her home on the night of March 2, in Honduras. Read more about Berta here.